CANTON, Mass. 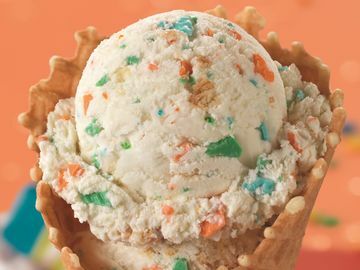 (June 16, 2014) – The official first day of summer is right around the corner and Baskin-Robbins, the world’s largest chain of ice cream specialty shops, is kicking off the beach and BBQ season in a cool way with its lineup of summer flavors and treats. 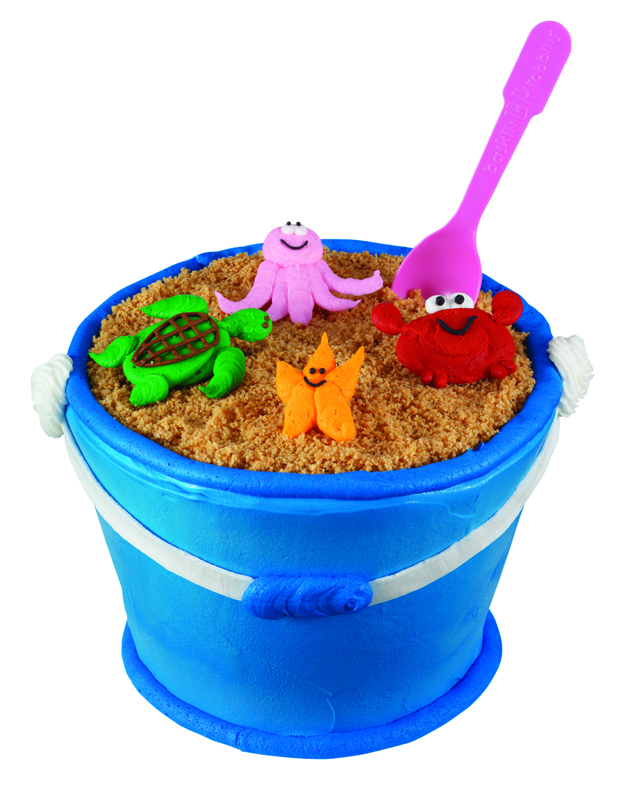 New this year, the Sand Pail Cake is a unique and delicious summertime creation featuring graham crackers as the sand, sweet sea creatures made of icing and a pink spoon to make digging in easy. 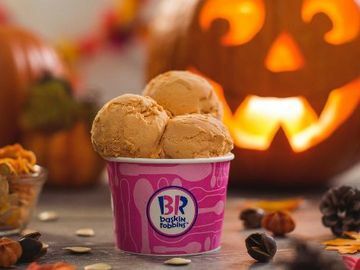 The cake can be customized with any favorite ice cream and cake flavor combination and can also be ordered through Baskin-Robbins’ new online cake ordering website. 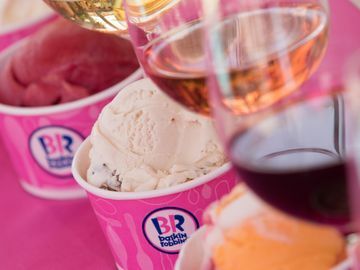 Baskin-Robbins is also offering a range of delicious seasonal ice cream flavors this summer, including options from its BRight Choices® lineup of better-for-you flavors, which includes premium churned light, reduced fat, no sugar added, sorbets, ices and frozen yogurt options. These flavors are available at participating Baskin-Robbins shops across the U.S. at select times during the summer months. America's Birthday Cake®: Strawberry and cake-flavored ice cream mixed with candy confetti-topped cake pieces and blue whipped cream. Blueberry Cheesecake: Creamy cheesecake flavored ice cream packed with cheesecake bits and swirled around with a blueberry ribbon. Chocolate Chocolate Chip (Premium Churned Reduced Fat, No Sugar Added): A combination of reduced-fat chocolate ice cream and chocolate-flavored chips. Cotton Candy: A creamier and dreamier version of your favorite fluffy, puffy treat. Swirled in pink and purple, for extra cuteness. Orange 'n Crème (Premium Churned Light): Orange light ice cream with a whipped cream-flavored ribbon for a new twist on a frozen favorite. Splish Splash® Sherbet: A refreshing summer flavor with a splish of blue raspberry flavored sherbet and a splash of blueberry flavored sorbet. State Fair Fried Dough: A festival of flavor featuring cinnamon caramel flavored ice cream loaded with funnel cake pieces and a fried dough ribbon. Also available at participating Baskin-Robbins restaurants this month is Triple Chocolate, the June Flavor of the Month. 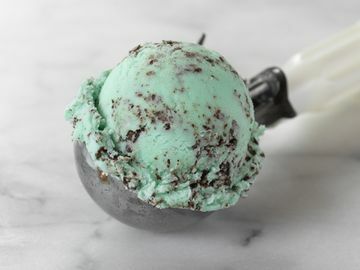 Featuring a combination of Swiss Chocolate, Chocolate Fudge and Classic Chocolate ice creams, this flavor is sure to satisfy any chocolate lover. Additional delicious Flavors of the Month are coming up for each month of the summer season. Available at participating Baskin-Robbins shops nationwide throughout the summer months, Baskin-Robbins’ lineup of summer flavors are available by the scoop - in a cup or cone - as well as in fresh-packed containers, so frozen treat lovers can bring the flavor home to enjoy with family and friends. 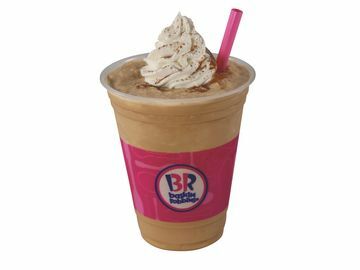 Baskin-Robbins’ summer flavors also taste great when blended into refreshing, made to order beverages including milkshakes and Cappuccino Blast® frozen drinks, which are perfect for guests on the go.